The 2-alarm fire broke out on Tucker Street in Lynn and left three people with minor injuries. 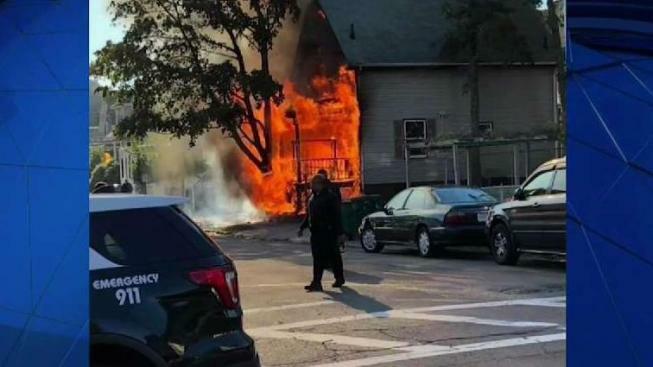 Two firefighters and a resident were injured in a 2-alarm building fire in Lynn, Massachusetts on Tuesday morning. The fire was reported around 9:30 a.m. at 42 Tucker St., which fire officials described as a two-story wood frame home. Two firefighters and a young man who lives in the building were taken to the hospital with minor injuries. The man was suffering from smoke inhalation, fire officials said. Four pets died in the fire. 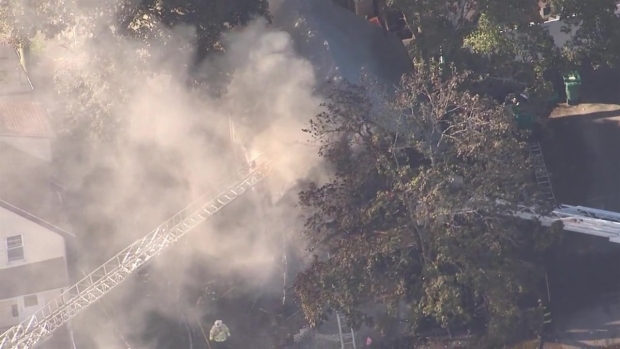 Fire Crews Respond to Structure Fire in Lynn, Mass. Firefighters responded to a 2-alarm structure fire Tuesday, Oct. 16, 2018 in Lynn, Massachusetts. The Lynn Fire Department said in a tweet that "heavy fire" was showing upon arrival and all Lynn fire companies responded to the scene. The front of the home was heavily damaged. Sky Ranger video from the scene showed firefighters battling the smoky fire with water from at least two ladder trucks. Flames could be seen coming from a second-story window. It's unclear what caused the blaze.